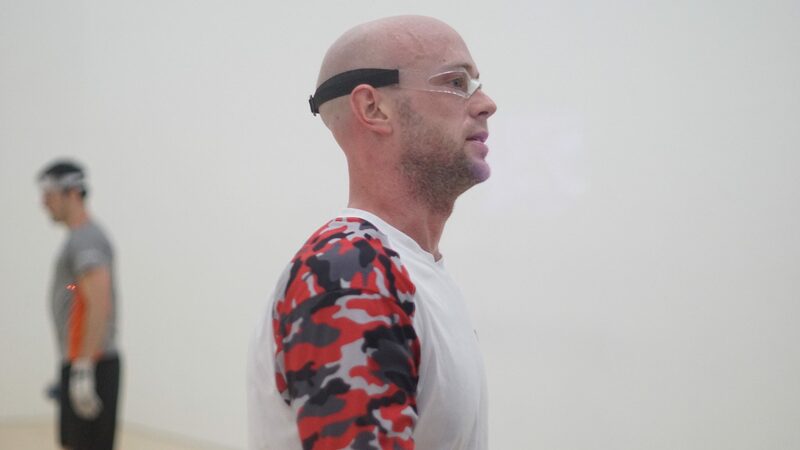 The longest running rivalry in pro handball took center stage on Sunday morning with the Memorial title at stake, with Sean Lenning aiming to defend his Memorial title and Peixoto looking to win his first. Peixoto built a 7-1 lead to start the match, largely on Lenning errors. “Usually I start slow and I did today, but Sean was warming up in the early part of the game and missed some shots,” stated Peixoto. Lenning found his game after his slow start, outscoring Peixoto 20-4 to take a one game lead on the strength of his unorthodox kills and trademark power. “Lenning is the only guy who can hit these crazy left hand kills in the right corner standing straight up,” stated line judge Vince SanAngelo between games. Lenning appeared to be visibly tired early in game two, the result of playing his seventh match of the weekend and Peixoto’s relentless pressure. Peixoto took complete command of game two to force a tiebreaker. “Even though I lost game one, I was moving Sean around the court and making him do a lot of running,” stated Peixoto. JR WPH Juarez faced Tucson’s Fred Lewis Foundation for the third time in two years in a special junior team competition aimed to build camaraderie, friendships, and team spirit between the two incredible junior programs. Team FLF captured the first two editions of the BOB, but the rapidly improving JR WPH Juarez squad was determined to take the BOB Cup back to Juarez. Team Juarez won the first two matches in the best of five format, and when Andres Cordova defeated Sophia Della Croce in the fourth match, Team Juarez clinched their first Battle of the Border Cup. “Watching the kids cheering on their teammates and taking so much pride in being on their team was the highlight of the event for me,” stated WPH Development Director David Fink. The WPH hosted two victory parties following Sunday’s finals, with all of the players and tournament supporters enjoying lunch and desserts. Thank you to the entire Tucson handball community for making the 2016 Memorial such a tremendous event. 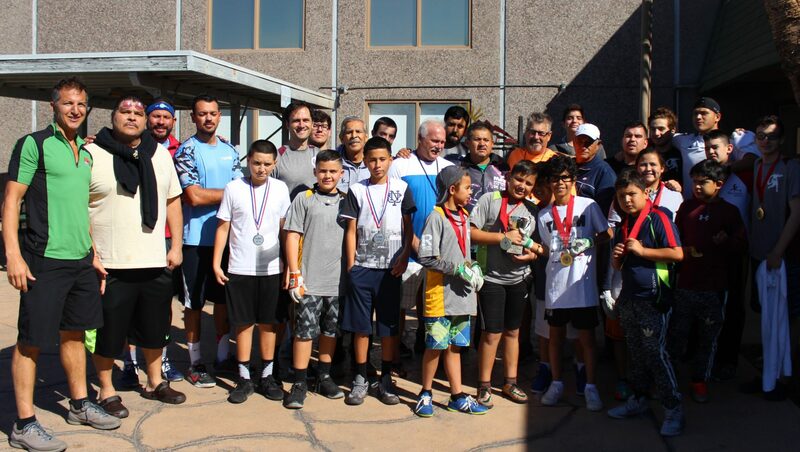 The hard work of dozens of passionate handballers living in the Tucson made The Memorial a sensational tournament. We cannot begin to list all the wonderful peiople that really stepped up to help the growth of handball. Special thanks to Scott Cleveland, Doug Clark, Jeff Healam, Fred Banfield, Richie Estrella, Dr. James Bardwell, Jesse Aranda, Carlos Villegas, Charlie Wicker, Vince San Angelo, John Ross, plus conflicted Jim, Mark Thompson, Pistol Pete, Gurumeet Khalsa, the TRC and so many more folks that all pitched in to make this one of the best local events in our history. Saturday at The Memorial featured nonstop action, as the Race 4 Eight pros, JR WPH stars, and skill level and amateur player competed from early in the morning until late in the evening. Tournament director Scott Cleveland hosted a special Memorial celebration between the pro singles semifinals matches, paying tribute to those we have lost in the handball community in the last year. “We feel so grateful to the pros for taking the time to come here and help us celebrate our friends and family in the handball community we have lost,” stated Cleveland during the touching ceremony. The top four seeds cruised to the semifinals with little difficulty, setting up identical semifinal matchups from the Race 4 Eight 2 in Tucson in 2012. Sean Lenning started quickly in the first semifinal against David Fink, building a 17-4 lead with tremendous power and ace serves. Fink established some momentum going into game two, scoring five of the final nine points of the game. The second game was a shootout between two of the Race 4 Eight’s Elite 8, with Lenning holding a slight edge until Fink took his first lead at 18-17. Fink hit a crack serve on the left wall that Lenning scooped for a kill, triggering a three-point streak to serve for the match at 20-18. Fink regained the serve, tying the game at 20 before inexplicably double faulting to hand the serve back to Lenning. Lenning closed out the match to advance to his second consecutive Memorial final. “That second game was some of the best handball I’ve ever seen,” stated WPH Executive Committee member Doug Clark. In the bottom bracket, Emmett Peixoto fell behind 9-2 against hometown favorite Luis Moreno before changing gears and taking control of the match. “Every shot Luis hits has so much hop that I just tried to jam the ball right at him or bounce the ball at his chest,” revealed Peixoto. Peixoto controlled the match after the early deficit, using his all-around game to neutralize Moreno’s power and aggressiveness to advance to his first Memorial final. Stay tuned to this thread throughout the weekend for coverage from The Memorial. 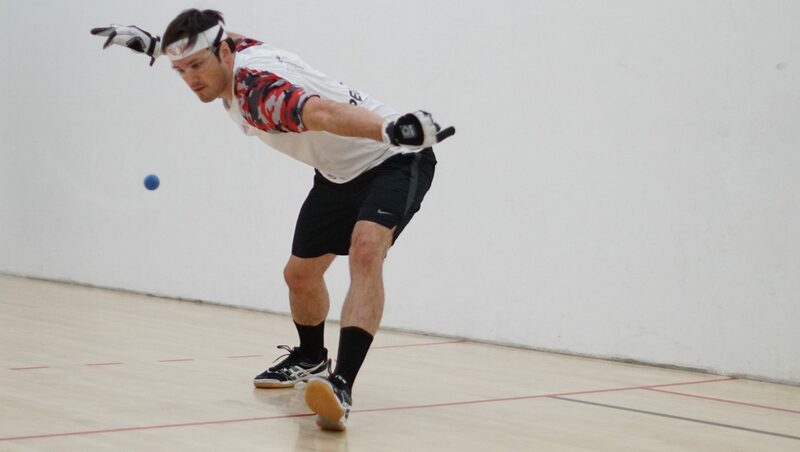 The Tucson Memorial Handball Open kicked off on Friday night at the Tucson Racquet Club, with six of the top 16 Race 4 Eight pros in action, as well as dozens of junior, skill level, and master’s division players from Arizona, California, New Mexico, New York, Idaho, Texas, and Mexico. The outstanding pro and junior players are secondary to remembering the loves ones the worldwide handball community has lost at The Memorial. 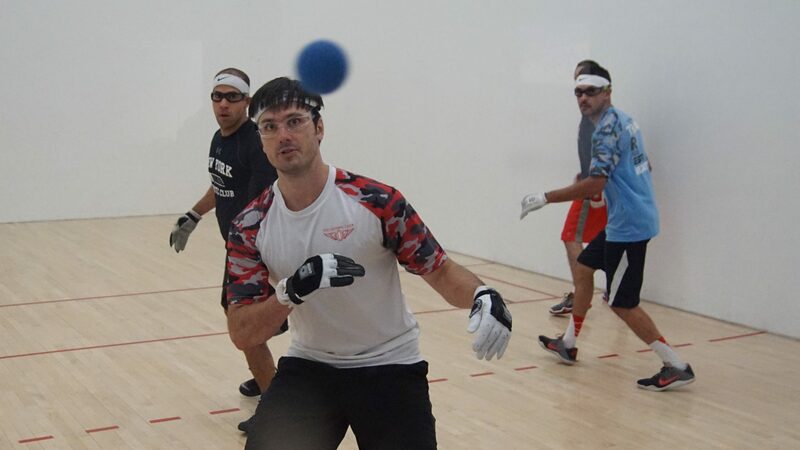 “The Tucson Memorial Handball Open was designed to honor and celebrate friends and family of the sport, that have passed, with the hopes of highlighting their life achievements, archiving their legacies, and sharing their stories,” stated Memorial tournament director Scott Cleveland. 2016 JR WPH Coach of the Year Richie “Drft” Fernandez faced WPH Statistician Dr. James Bardwell in match of cancer survivors in the pro singles. Both WPH team members won their battles with cancer in the past decade and staged a classic on The Memorial’s opening night. After splitting the first two games in just north of two hours, Fernandez and Bardwell traded the lead three times in the decider. Fernandez ultimately prevailed in a thrilling 11-6 tiebreaker. “I think it’s great to be able to play a match with two cancer survivors at The Memorial in an event that celebrates the lives of those we’ve lost, many to cancer,” stated Dr. Bardwell. Sean Lenning, Luis Moreno, Emmett Peixoto, David Fink, Jonathan Iglesias, and Abraham Montijo advanced in the pro singles on Friday night, setting the stage for what promises to be a thrilling Saturday of action at The Memorial. The Race 4 Eight pros will be in action on Saturday, with all six playing singles and doubles.